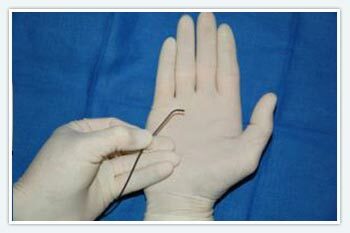 While we recognize that the human interaction is the basis of the doctor patient relationship, neurointerventional medicine is also inherently high-tech. 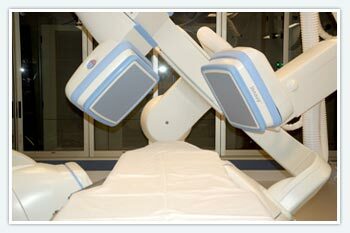 Saint Luke's Hospital, Plaza in Kansas City has two neurointerventional suites. 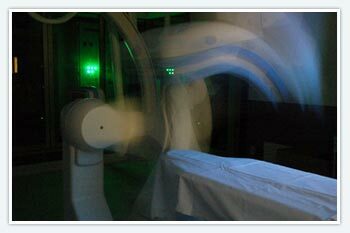 The heart of a neurointerventional suite is the biplane digital fluoroscopy table. Two X-ray cameras move independently, acquiring high resolution pictures from multiple angles. 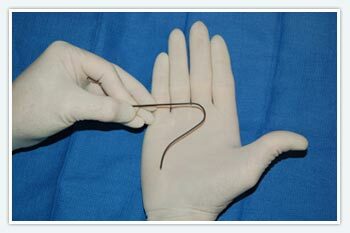 in to nearly any major artery of the body. Nearly gone is the era of film based radiology. 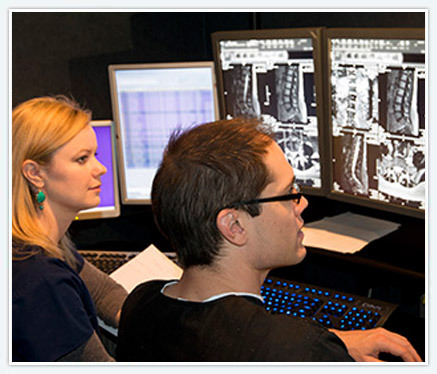 Saint Luke's radiology departments are entirely digital in image processing and archiving. The neurointerventional team uses CT (computed axial tomography, aka CAT) scanning to provide images of the brain, blood vessels and blood flow. 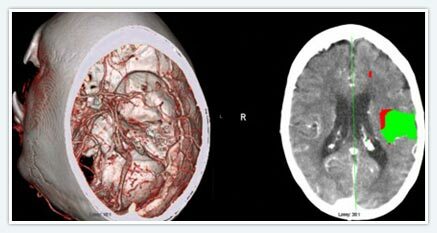 The above images demonstrate a blocked branch of the left middle cerebral artery. Because the brain tissue is not irreversibly damaged (denoted in green) reopening the vessel by the interventional team was performed which lead to a dramatic recovery of language function.